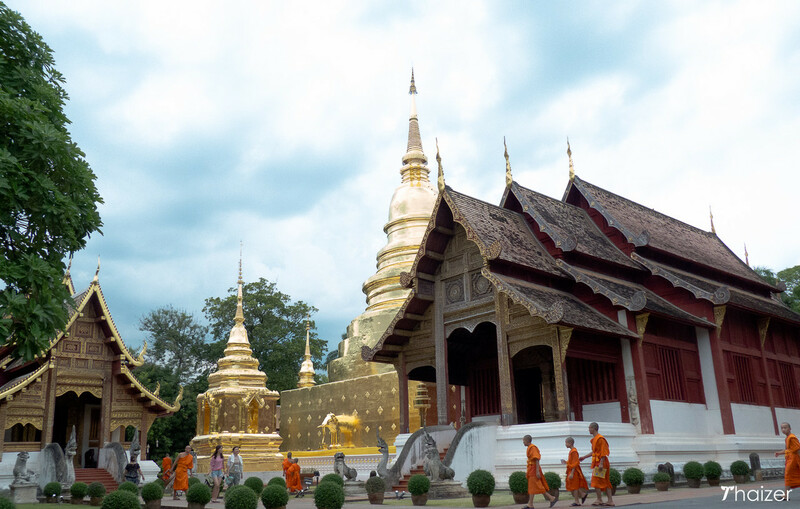 Wat Phra Singh is not only one of the most important temples in Chiang Mai, it’s also one of the most attractive. 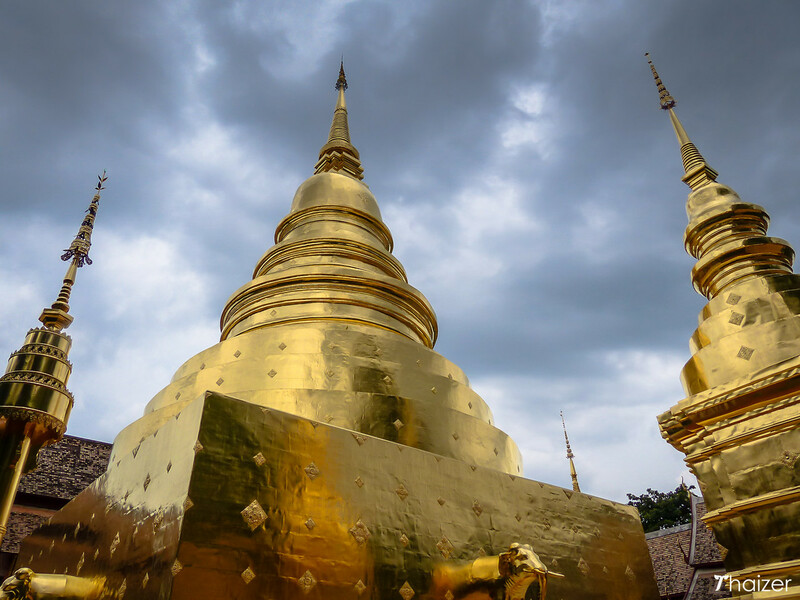 Located at the end of Ratchadamnoen Road in the old city of Chiang Mai, Wat Phra Singh makes for an impressive site with gilded rooftops and golden chedis peering above the whitewashed walls that enclose the complex. The history of Wat Phra Singh dates back to the 14th century, but the temple has undergone a number of changes and renovations over the years. 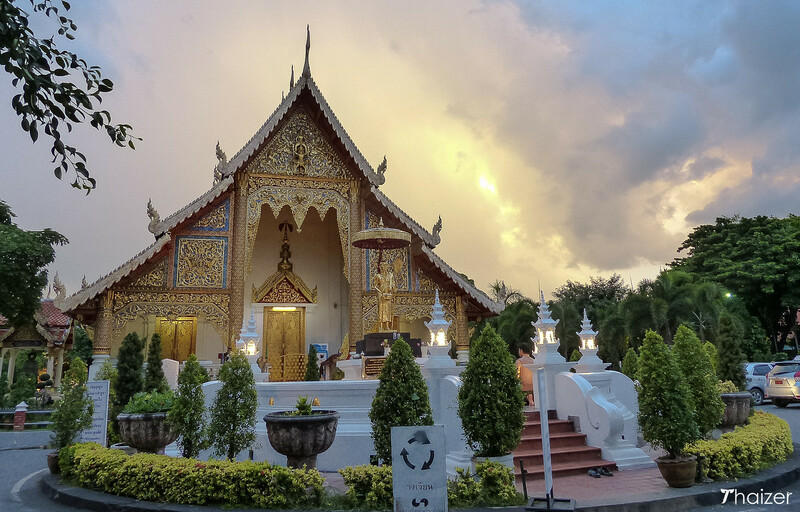 Despite its ancient history and importance, Wat Phra Singh is a living and working temple and very much part of the local community with a monastery and school contained within the grounds. 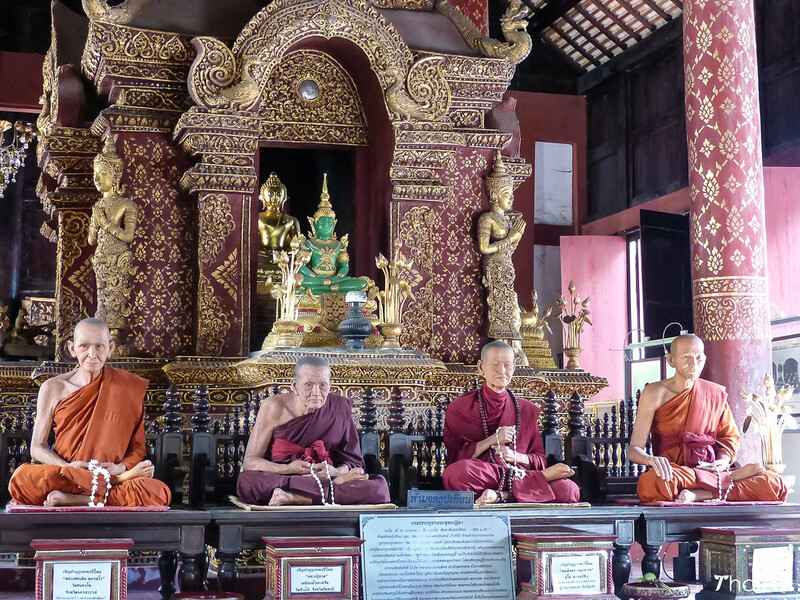 Visitors are likely to encounter schoolboys playing football and takraw, novice monks sweeping the pathways and ice-cream vendors wheeling their carts through the shaded gardens. 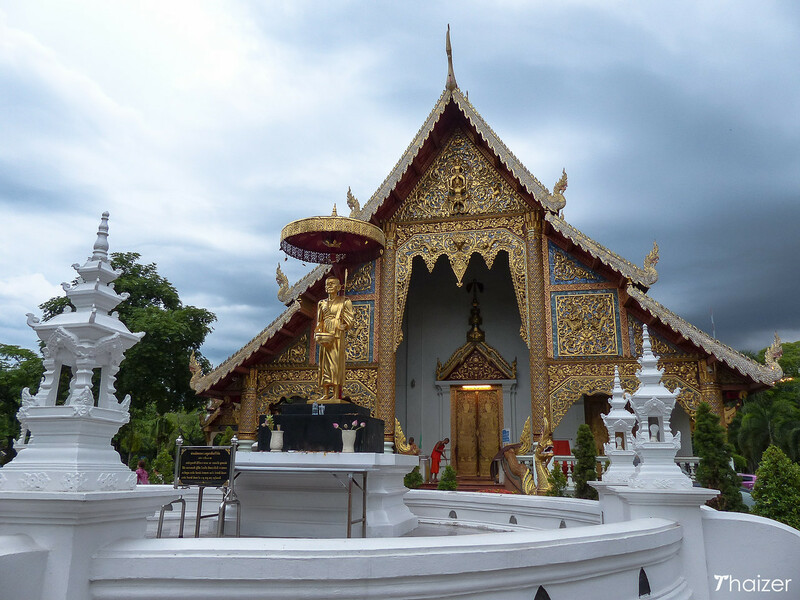 Wat Phra Singh was founded in 1345 by King Phayu who built the temple to house the ashes of his father. This was a time when a number of different kings ruled in the various regions of what is now Thailand. From 1578 to 1774 the northern Lanna kingdom came under the control of the Burmese and Wat Phra Singh was abandoned and fell into disrepair. 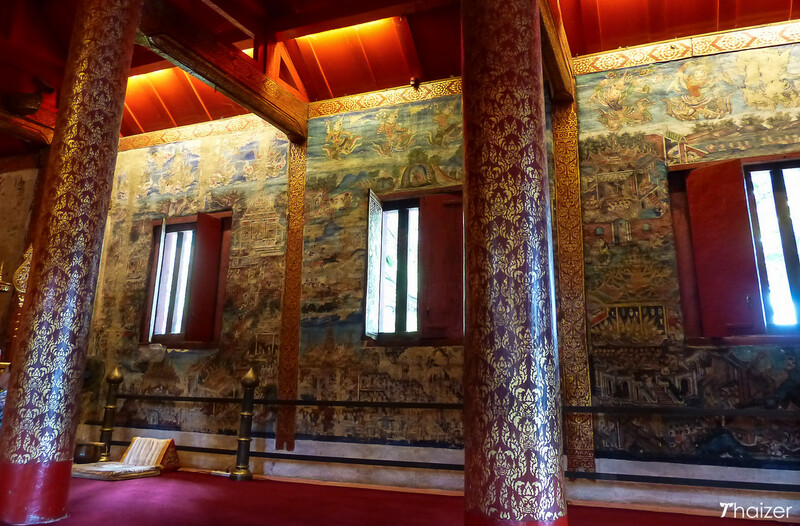 The temple was restored under King Kawila who became the ruler of Chiang Mai in 1782. King Kawila built the ubosot (ordination hall) and enlarged the chedis with his successors continuing the work by restoring the Wiharn Lai Kham and the temple library. 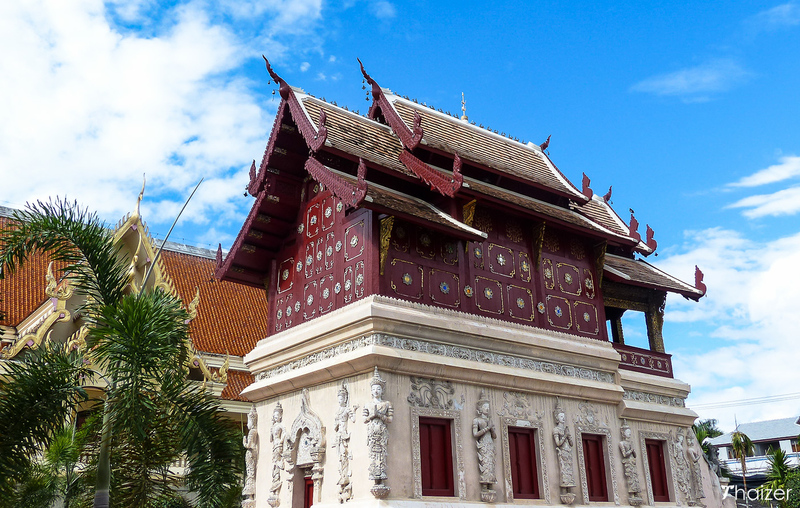 The whole temple complex at Wat Phra Singh underwent extensive renovations in the 1920s. More recently, work was carried out in 2002 and the chedis which had previously been painted white underwent a makeover in 2016 to give them a golden-coloured covering. The full name of the temple is Wat Phra Singh Voramahavihara. Amongst its claims to fame, the temple is thought to have housed the much-travelled Emerald Buddha which is now enshrined at Wat Phra Kaeo in Bangkok. The Emerald Buddha is known to have spent time in residence at Wat Chedi Luang in Chiang Mai and historians also believe the statue spent time at Wat Phra Singh. 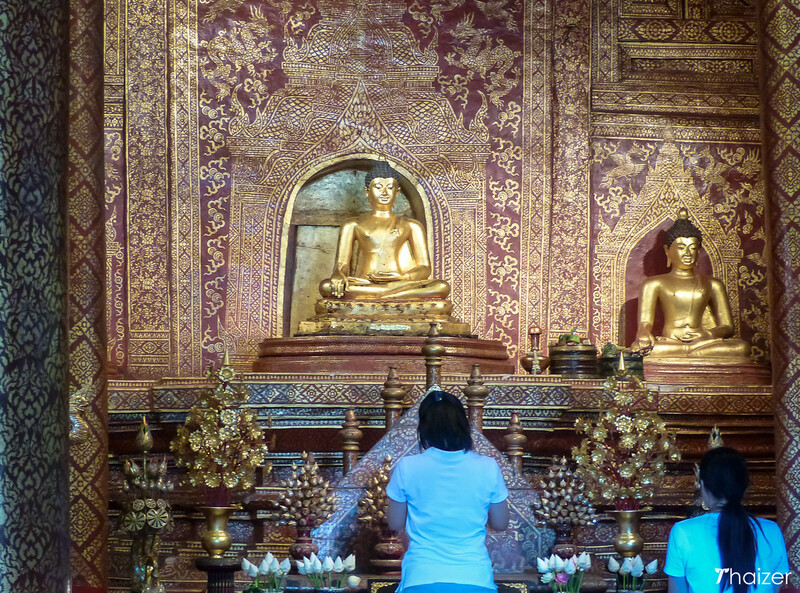 A copy of the Emerald Buddha can be seen today in the ubosot at Wat Phra Singh. 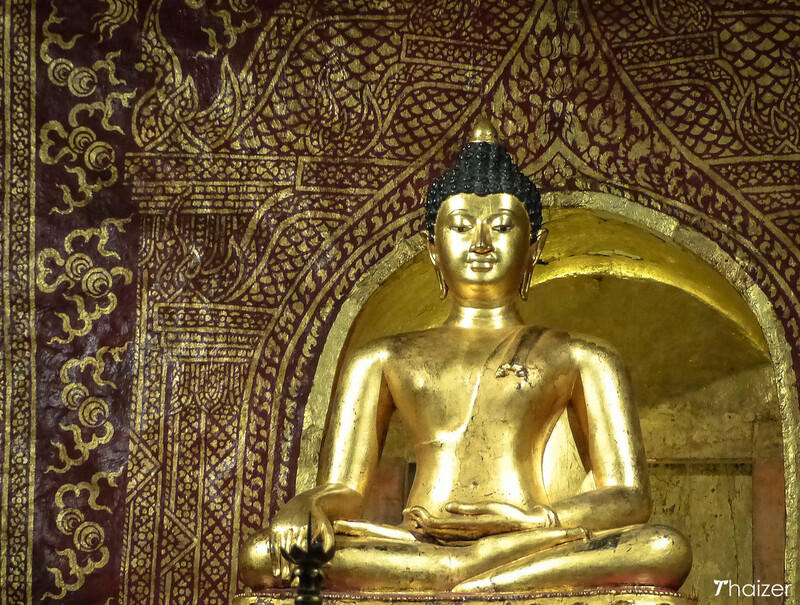 For such a small statue, the story behind the Phra Singh statue is long and complicated. The original Phra Singh image is thought to have first appeared in Sri Lanka in the second century, but its precise age and origin remain unclear. To add to the mystery there are at least three Phra Singh statues in Thailand with each claiming to be the original. 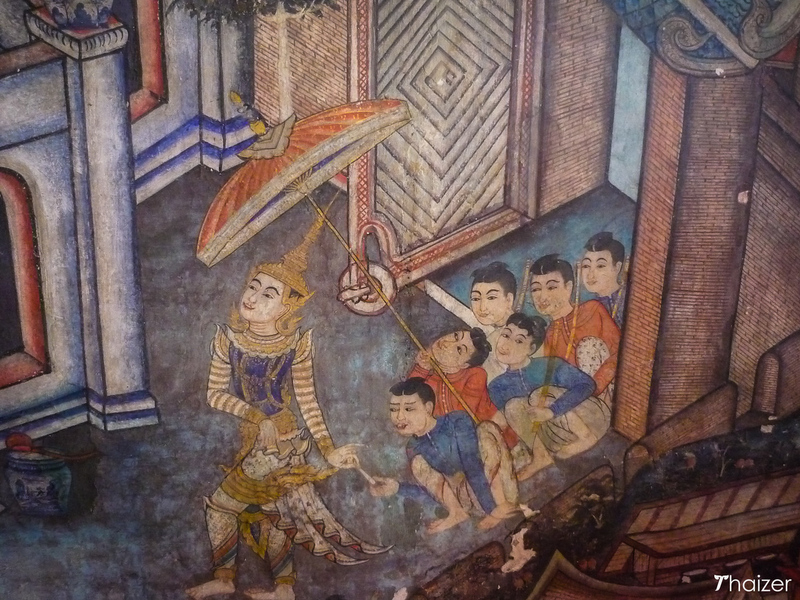 Besides the one in Chiang Mai there is a version in Nakhon Si Thammarat and one in the National Museum in Bangkok. The Phra Singh image has given rise to a number of tales and legends. 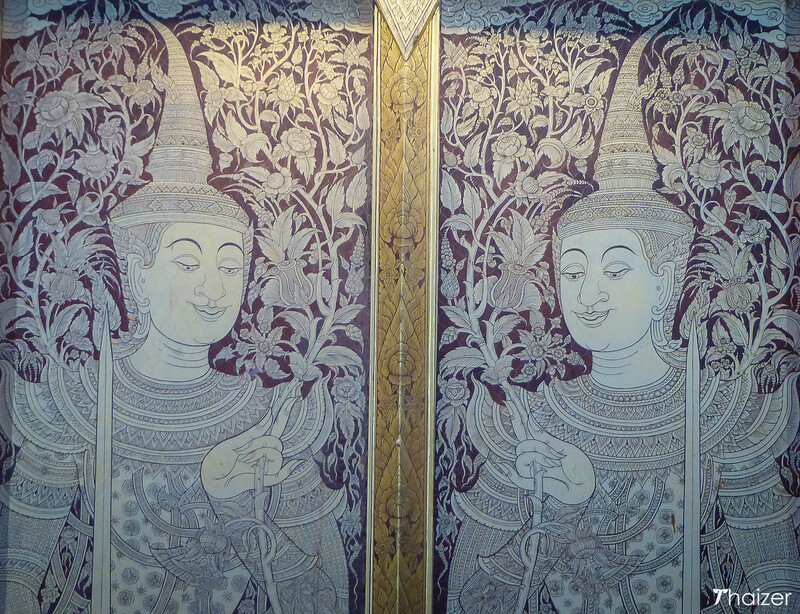 One local legend says the Phra Singh image was sent from Sri Lanka to the King of Sukhothai in the thirteenth century. The story goes on to say that the ship carrying the statue sank, but the Buddha image floated on a wooden plank until it reached the southern Thai city of Nakhon Si Thammarat. Some say the image remained in the south whilst others say it was taken to Ayutthaya before the journey further north to the kingdoms of Sukhothai and Lanna. According to information on display at Wat Phra Singh, the valuable Phra Buddha Singh image arrived in Chiang Mai in 1367. A king from Kamphaeng Phet brought it here to present to King Saen Muang Ma who ruled the northern Lanna Thai kingdom. Nearing the end of the journey, the chariot carrying the statue broke down at the temple that was then called Wat Chiang Lee. This was seen as an auspicious sign and so the Phra Buddha Singh image was installed here which led to the temple becoming known as Wat Phra Singh. 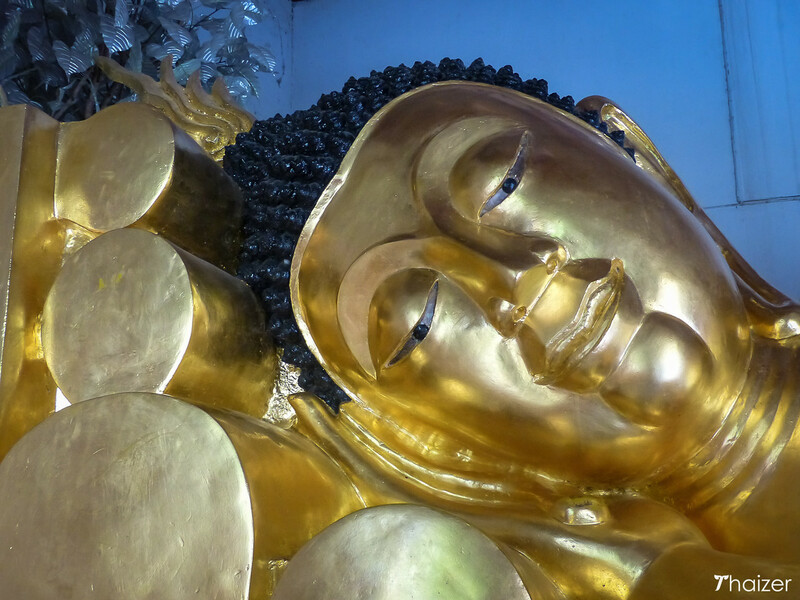 Whether the statue on display at Wat Phra Singh is the original or a copy, it remains one of the most important Buddha statues in the north of Thailand. 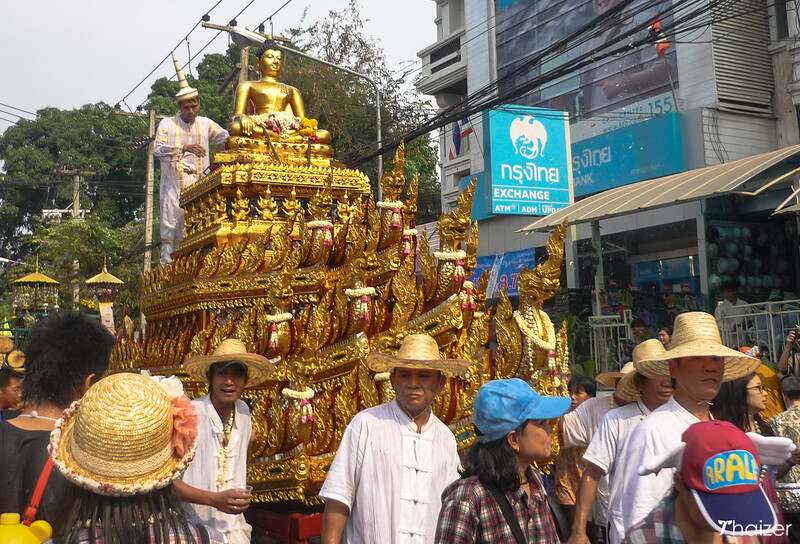 Every year during the Songkran festival, the Phra Singh statue is delicately raised on a chariot and paraded through the streets of Chiang Mai to be venerated by locals who douse the statue with lustral water. The Phra Singh Buddha statue is housed in the elegant Wiharn Lai Kham. 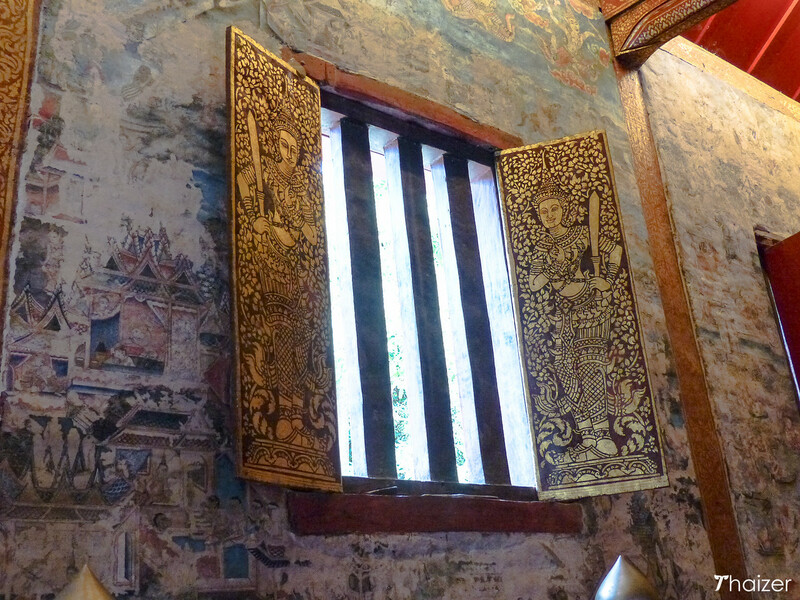 Originally built from wood in 1345, the Lanna-style Wiharn Lai Kham underwent extensive renovation in the early 1800s. It was at this time that murals were painted on to the interior side-walls. The murals have faded over the years, but they remain an impressive sight depicting local life alongside tales from the Jataka illustrating the previous lives of the Buddha. Walking through the front entrance of Wat Phra Singh the large building immediately in front of you is Wiharn Luang. This assembly hall was rebuilt in the 1920s on the site of the original structure from the 14th-century. The interior houses a large seated Buddha image, Phra Chao Thong Tip, cast from gold and copper in the 15th century. Built in the early 1800s, the ubosot sits behind Wiharn Luang. The building is notable for having two separate entrances; one side for monks and the other for nuns. The interior contains a smaller replica of the Phra Singh image and also a copy of the famous Emerald Buddha that is enshrined at Wat Phra Kaeo in Bangkok. In front of the Emerald Buddha statue are extremely realistic waxwork models of notable Buddhist monks. The ubosot often has displays and photographs of Chiang Mai from days gone by which makes for some fascinating viewing. Raised on a stone plinth to the right of the main wiharn is the monastic library, Ho Trai. Constructed in classical Lanna style, the library is regarded as one of the most beautiful buildings of its kind in Thailand. The original structure dates back to the 15th century and was used to protect precious manuscripts. 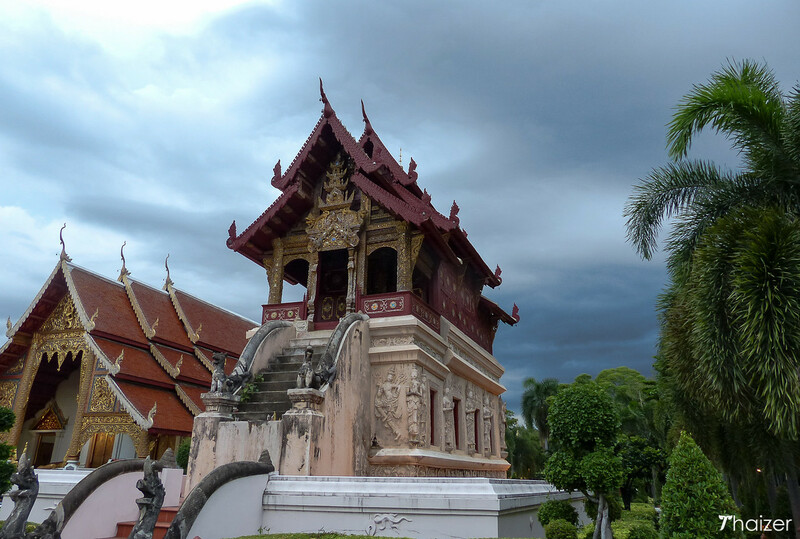 The grounds of Wat Phra Singh contain a number of chedis (pagodas). Many of these have been enlarged and restored over the years, but the largest one dates back to 1345. The main chedi was built by King Phayu of the Mengrai Dynasty to hold the ashes of his father, King Khamfu. Local people still pay their respects at the chedi and please be respectful if taking photos outside just as you should be inside the temple. You don’t have to be religious to enjoy temples in Thailand. Because they often serve as community centres they are interesting place to visit and watch the world go by. 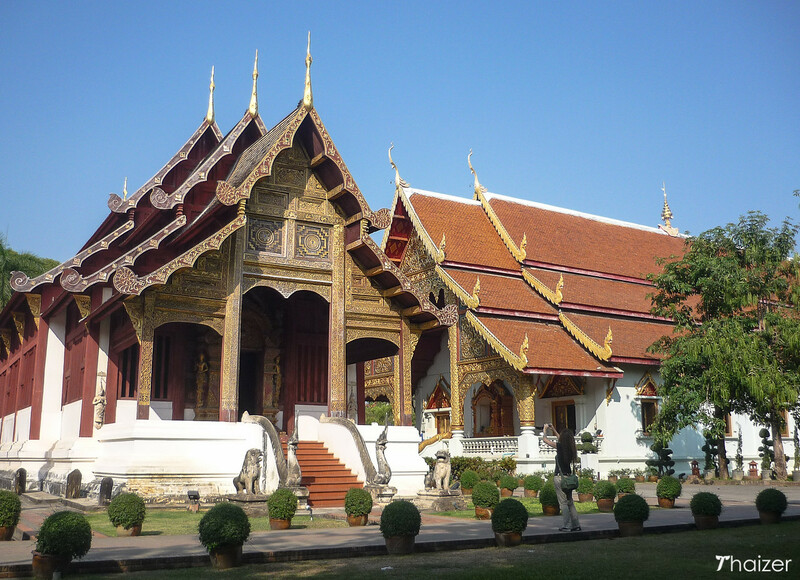 Wat Phra Singh makes for a wonderful spot to relax on a bench or walk around the shaded gardens. 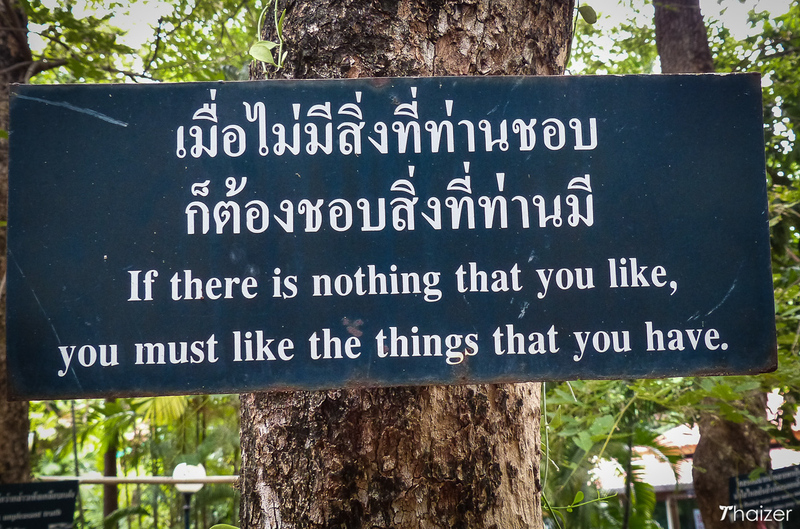 You’ll notice signs in Thai and English with Buddhist words of wisdom and don’t be surprised if a monk strikes up a conversation to practice his English. 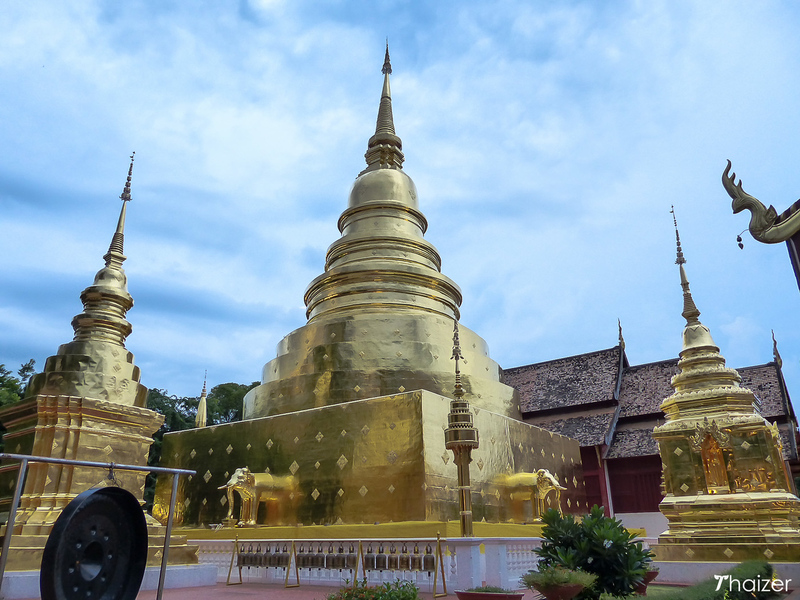 In addition to the main buildings mentioned above, there is another small pavilion at the back containing a reclining Buddha image that many visitors miss out on. 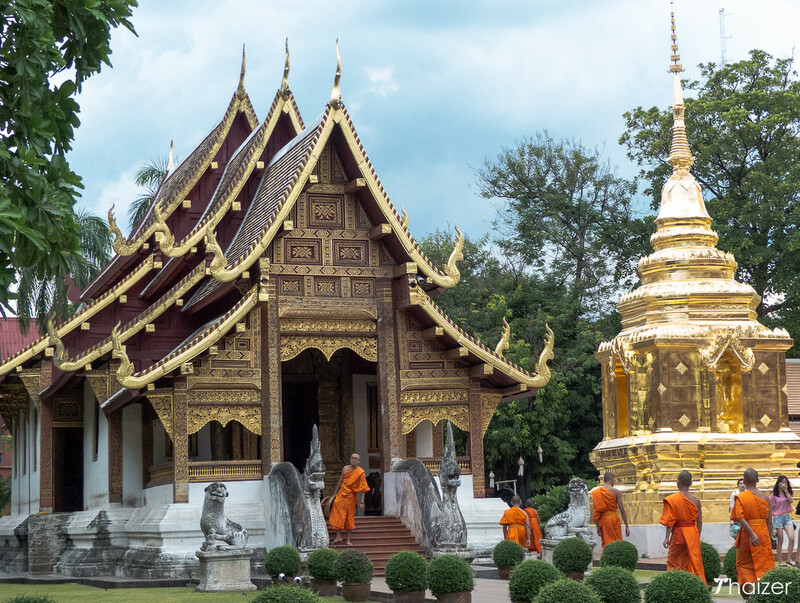 As one of the most important temples in Chiang Mai, Wat Phra Singh is always extra busy for Buddhist holidays such as Asahna Bucha, Makha Bucha and Visakha Bucha Day. Visit in the evening and you’ll see local people making merit and taking part in the wian tian candle ceremony. Special religious services are also held at Wat Phra Singh on New Year’s Eve in December and during Songkran, the traditional Thai New Year Festival in April. Songkran sees people bringing sand to the temple to make pagodas and a ceremony also takes place as the Phra Singh image is temporarily removed before being taken on a chariot around the streets of Chiang Mai. The Yi Peng Festival in November is another good time to visit Wat Phra Singh. 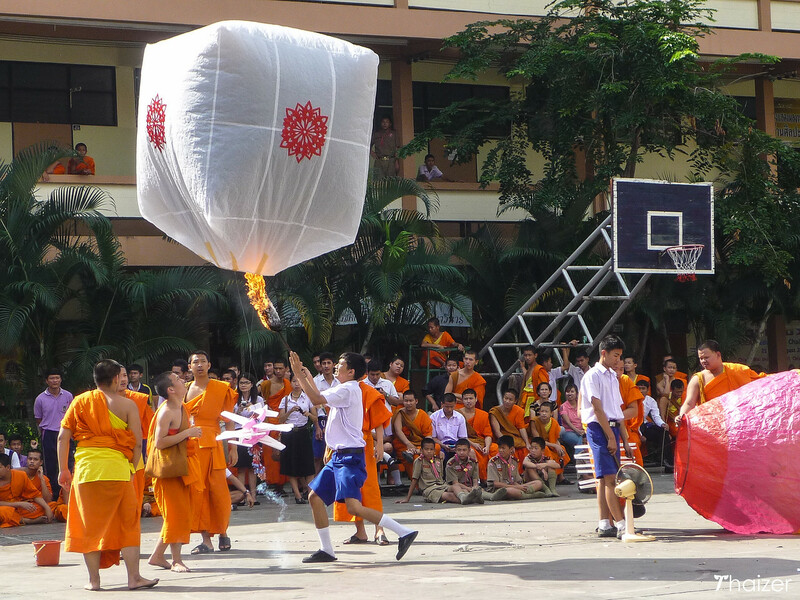 During the day schoolboys and novice monks hold competitions to see who can produce the biggest and best khom fai and khom loy sky lanterns. 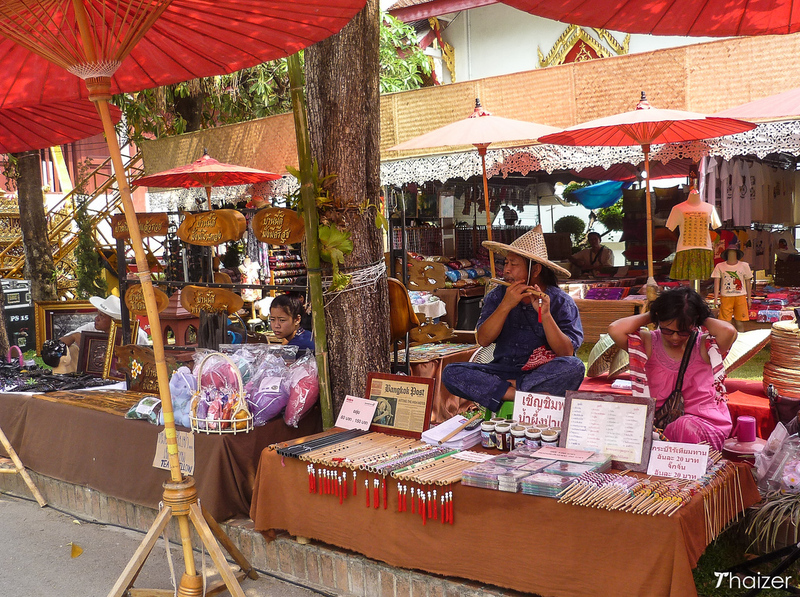 The wonderful Chiang Mai Sunday Walking Street Market runs all along Ratchadamnoen Road in front of Wat Phra Singh, but the temple grounds also host a mini Walking Street on Sunday afternoons with stalls selling food and local arts and crafts. 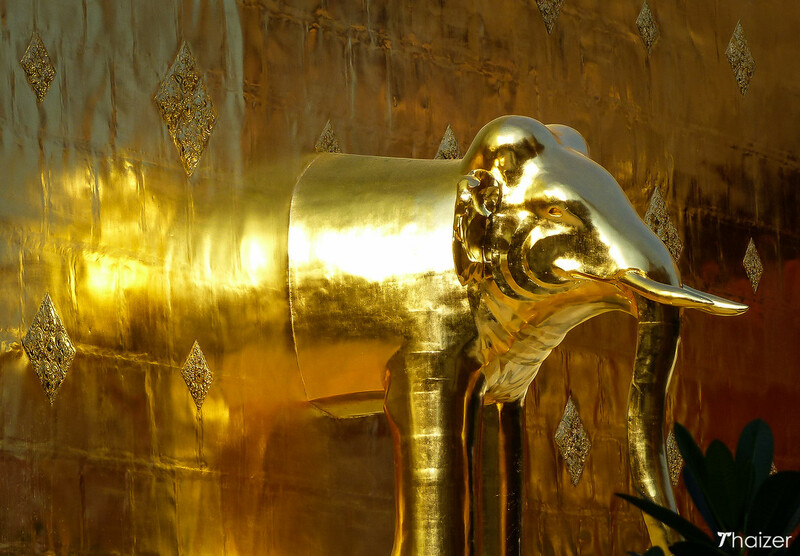 Wat Phra Singh is open daily from 5am to 8.30pm. There is a 20 Baht entrance fee for non-Thais to enter the main assembly hall, Wiharn Luang. As always when visiting any temple in Thailand, please dress respectfully. You may notice a few tuk-tuk drivers and touts hanging around the front entrance of the temple. They’re not as pushy as some of their counterparts in Bangkok, but they’ve increased in number in recent years and you may find it best to politely decline them. The toilets at Wat Phra Singh are impeccably kept and if you need them they can be found on the right hand side of the temple complex. There is a coffee stall inside the grounds, but better options are available a stone’s throw away including Tree Sis close to the front entrance and Thorphan Coffee just behind the rear entrance.